Associate Professor Robert Boots is a member of the clinical team at the Burns, Trauma and Critical Care Research Centre. Rob is the Deputy Director of the Department of Intensive Care Medicine and has qualifications in both respiratory medicine and intensive care. He has a strong background in clinical epidemiology and research with his main research interests management of burns and prevention of ventilator associated pneumonia. He has served as Deputy Director of Clinical Training and Chairman of the Medical Emergency Response Training Program at the Royal Brisbane and Women’s Hospital. Rob received training in clinical education from the Harvard Macy Program for Physician Educators in Boston USA and the Bulstrode and Hunt program of the Royal College of Surgeons (Edin). He was a key stakeholder in the development of the business case and the despite of the Queensland Health Clinical Skills Development Centre whoch opened in 2004. After serving for 4 years as the Chairman of the Queensland Regional Committee of the Joint Faculty of Intensive Care he was electived to the Board of the College of Intensive Care Medicine in 2010 and presently serves as the Censor. 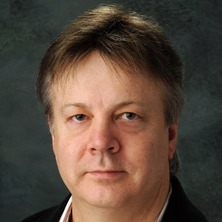 He is a local examiner for the RACP and regular lecturer for the RACP training program in Brisbane Rob is involved with many projects as a main investigator and supervises postgraduate students attached to the research unit. A randomised trial of a clinical outpatient review of patients who have been discharged from the intensive care unit for sepsis to assess their physical and emotional status. This is the present project in a suite of projects related to the rehabilitation of ICU patients. Collaboration with the Engineering Department of University of Queensland with Prof Xue Li. Large-scale data collected from multiple sources such as the Web, sensor networks, academic publications,and social networks provide a new opportunity to exploit useful information for effective and efficient recommendations and decision making. In this project, we propose a new framework of recommender systems that is based on analysing relationships between different types of objects from multiple data sources. A graph model will be built to represent the extracted semantic relationships and novel linkage analysis based algorithms will be developed for ranking objects using the data of an established clinical information system in the ICU. Secombe, Paul, Stewart, Penny, Singh, Sunil, Campbell, Lewis, Stephens, Dianne, Tran, Khoa, White, Hayden, Sheehy, Robert, Gibson, Justine, Cooke, Robyn, Townsend, Shane, Apte, Yogesh, Winearls, James, Ferry, Olivia R., Pradhan, Rahul, Ziegenfuss, Marc, Fong, Kwun M., Yang, Ian A., McGinnity, Paul, Meyer, Jason, Walsham, James, Boots, Rob, Clement, Pierre, Bandeshe, Hiran, Gracie, Christopher, Jarret, Paul, Collins, Stephenie, Coulston, Caitlin, Ng, Melisa, Howells, Valerie, Chatterjee, Indranil, Visser, Adam, Smith, Judy and Trout, Melita (2019) Clinical management practices of life-threatening asthma: an audit of practices in intensive care. Critical care and resuscitation : journal of the Australasian Academy of Critical Care Medicine, 21 1: 53-62. We are looking for a health science higher degree student interested in new health care delivery paradigms and their impact on patient centred and health organization outcomes in relation to the introduction of a novel telemedicine service into assist in patient care at Bundaberg Base Hospital. The project intends to cover a broad spectrum of health care impacts including clinical communication, organization impacts, financial implications and direct patient outcomes. The project has enough broad focus to meet requirements for a PhD and would be suitable for students interested in a career in health outcomes and organizational research. Research would be based within Brisbane with the possibility of several field trips to Bundaberg. The anticipated time frame for completion would be 2 years allowing a period of 12 months of consolidated Thesis preparation. A preliminary protocol has been formulated which the student is expected to develop further and progress. An experienced team of researchers and clinicians under the Centre will support the research student for Burns, Trauma and Critical Care Research of the University of Queensland. Telemedicine by the use of audiovisual technologies is increasingly being used to assist in patient care by intensive care units unable to be staffed by consultant intensivists. Models of care range from complete remote 24-hour surveillance requiring direct video observation to a consultation liaison service only requiring conventional telephone links. There has been a rapid adoption of such services especially in North America where access to on-site intensive care specialists is limited for the volume of intensive care being undertaken. The key task is to ascertain the most appropriate service requirements that would assist in care for a given patient circumstance. A telemedicine intensive care consultation service has been introduced into Bundaberg Base Hospital. Bundaberg Base is a regional 200-bed hospital in Queensland, Australia. The model of care is an “open ICU” with primary teams having admission rights for patients not requiring mechanical ventilation. Ventilated patients were admitted under the care of the anaesthesiology staff with the primary medical teams continuing their consultation. There were no credentialed intensive care medical specialists. Patients requiring more that two days of mechanical ventilation had been traditionally referred to the nearest tertiary ICU. In 2009 a new model of care was established with equipment and staff funding support from Queensland Health. An intensive care specialist undertook regular daily ward rounds for one hour between Monday-Friday via a videoconference link from the Royal Brisbane and Women’s Hospital Intensive Care Unit. This specialist was available for the remainder of the day to deal with additional queries via telephone or video link consultation. Ward rounds used a mobile wireless web-camera as part of a computer videoconferencing system. Additional duties of the Intensivist including coordinating the patient transfer to a tertiary unit or organising additional specialist review where appropriate. Study Questions1. What has been the impact of a Telemedicine ICU Ward Round in a regional hospital on patient outcomes?2. What has been the impact on the regional intensive care unit operations since the introduction of a Telemedicine ICU Ward Round?3. What is the nature and type of the communications between health care staff during Telemedicine ICU Ward Rounds to a regional ICU?4. What are the staff attitudes to Telemedicine ICU Ward Rounds in both the resource and the regional intensive care unit? Gomersall, Charles D., Joynt, G., Cheng, C., Yap, F., Lam, P., Torrance, J., Ramsay, S., Boots, Robert, Graham, C., Freebairn, R., Shivakumar, I., Holley, A., Udy, A. and Loew, C. Basic Assessment and Support in Intensive Care. Hong Kong: Chinese University of Hong Kong, 2006. Boots, R., Udy, A., Roberts, J. and Lipman, J. (2010). Pharmacokinetics/Pharmacodynamics of antibiotics. In G. Dimopoulos (Ed. ), Infections of the Respiratory System (pp. 557-589) Athens, Greece: John B. Parisianos Medical Publications. Paterson, David L. and Boots, Robert J. (2000). Aspergillus. In George A. Sarosi and Scott F. Davies. (Ed. ), Fungal diseases of the lung (pp. 123-162) Philadelphia: Lippincott Williams and Wilkins. Jones, Daryl, Pilcher, David, Boots, Robert, Carter, Angus, Turner, Andrew, Hicks, Peter, Nicholls, Mark, Currey, Judy, Erickson, Simon, Stephens, Dianne, Pinder, Mary, Psirides, Alex, Barrett, Jonathan, Chalwin, Richard, Bellomo, Rinaldo, Hillman, Ken, Buist, Michael, Parker, Jane and Huckson, Sue (2016) Resource use, governance and case load of rapid response teams in Australia and New Zealand in 2014. Critical Care and Resuscitation, 18 4: 275-282. Is inhaled prophylactic heparin useful for prevention and management of pneumonia in ventilated ICU patients? Dealing with the critical care aftermath: where to from here? Are interstitial fluid concentrations of meropenem equivalent to plasma concentrations in critically ill patients receiving continuous renal replacement therapy? Talekar, C. R., Udy, A. A., Boots, R. J., Lipman, J. and Cook, D. (2014) Tracheal cuff pressure monitoring in the ICU: a literature review and survey of current practice in Queensland. Anaesthesia and intensive care, 42 6: 761-770. A new marker of sepsis post burn injury? Reynolds, H. V., Talekar, C. R., Bellapart, J. B., Leggett, B. A. and Boots, R. J. (2013) Therapeutic plasma exchange as de-coppering technique in intensive care for an adult in a Wilson's crisis. Anaesthesia and Intensive Care, 41 6: 811-812. Can readmissions really be used as an ICU performance indicator? Boots, R. J., Singh, S. J. and Lipman, J. (2012) The tyranny of distance: telemedicine for the critically ill in rural Australia. Anaesthesia and Intensive Care, 40 5: 871-874. Rolley, L., Bandeshe, H. and Boots, R. J. (2011) 'Safe' methaemoglobin concentrations are a mortality risk factor in patients receiving inhaled nitric oxide. Anaesthesia and Intensive Care, 39 5: 919-925. Boots, Robert J., Lipman, Jeffrey, Lassig-Smith, Melissa, Stephens, DP, Thomas, J., Shehabi, Y., Bass, F., Anthony, A., Long, D., Seppelt, I.M., Weisbrodt, L., Erickson, S., Beca, J., Sherring, C., McGuiness, S., Parke, R., Stachowski, E.R., Boyd, R. and Howe, B. (2011) Experience with high frequency oscillation ventilation during the 2009 H1N1 influenza pandemic in Australia and New Zealand. Anaesthesia and Intensive Care, 39 5: 837-846. Douglas, A. E., Holley, A., Udy, A., Lipman, J., Gomersall, C. D., Joynt, G, Freebairn, R. C. and Boots, R. J. (2010) Can learning to sustain life be BASIC? Teaching for the initial management of the critically ill in Australia and New Zealand. Anaesthesia and Intensive Care, 38 6: 1043-1051. A new paradigm for treating infections: "go hard and go home"
Lipman, Jeffrey and Boots, Rob (2009) A new paradigm for treating infections: "go hard and go home". Critical Care and Resuscitation, 11 4: 276-281. Udy, A., Roberts, J. A., Boots, R. J. and Lipman, J. (2009) You only find what you look for: The importance of high creatinine clearance in the critically ill. Anaesthesia and Intensive Care, 37 1: 11-13. Boots, R. J. and Weedon, Z. J. (2008) Fire-eater's lung. Anaesthesia and Intensive Care, 36 3: 449-453. Senthuran, Sivagnanavel, Bandeshe, Hiran, Ranganathan, Dwarakanathan and Boots, Robert (2008) Outcomes for dialysis patients with end-stage renal failure admitted to an intensive care unit or high dependency unit. Medical Journal of Australia, 188 5: 292-295. N. Makris, J. Bellapart and R. J. Boots (2008) An unusual case of intra-abdominal apoplexy. Anaesthesia and Intensive Care, 36 2: 257-259. Boots, R. J. and Windsor, M. N. (2007) Missed foreign body and nessitans empyema. Anaesthesia and Intensive Care, 35 6: 971-974. Freshwater-Turner, D. A., Boots, R. J., Bowman, R. N., Healy, H. G. and Klestov, A. C. (2007) Difficult decisions in the intensive care unit: an illustrative case. Anaesthesia And Intensive Care, 35 5: 748-759. Zappala, Christopher, Chandan, Snehal, George, Narelle, Faoagali, Joan and Boots, Robert J. (2007) The antimicrobial effect of heparin on common respiratory pathogens. Critical Care and Resuscitation Journal, 9 2: 157-160. Boots, R. J., Phillips, G. E., George, N. and Faoagali, J. L. (2007) Use of elastin fibres detected in non-directed low volume bronchial lavage in ventilated ICU patients. Anaesthesia and Intensive Care, 35 2: 189-193. Autonomic dysfunction in tetanus - what lessons can be learnt with specific reference to alpha-2 agonists? Boots, R. J., Joyce, C., Mullany, D. V., Anstey, C., Blackwell, N., Garrett, P. M., Gillis, S. and Alexander, N. (2006) Near-hanging as presenting to hospitals in Queensland: Recommendations for practice. Anaesthesia and Intensive Care, 34 6: 736-745. Boots, R. J., Lipman, J., Bellomo, R., Stephens, D. and Heller, R. F. (2005) Australian and New Zealand practice in intensive care (ANZPIC II): Predictors of physician confidence to diagnose pneumonia and determine illness severity in ventilated patients. Anaesthesia and Intensive Care, 33 1: 112-119. Boots, R. J., Lipman, J., Bellomo, R., Stephens, D. and Heller, R. E. (2005) Australian and New Zealand practice in intensive care (ANZPIC II: The spectrum of practice in the diagnosis and management of pneumonia in patients requiring mechanical ventilation. Anaesthesia and Intensive Care, 33 1: 87-100. Boots, R. J., Lipman, J., Bellomo, R., Stephens, D. and Heller, R. E. (2005) Disease risk and mortality prediction in intensive care patients with pneumonia. Australian and New Zealand practice in intensive care (ANZPIC II). Anaesthesia And Intensive Care, 33 1: 101-111. Boots, R. and Lipman, J. (2002) High dependency units: Issues to consider in their planning. Anaesthesia And Intensive Care, 30 3: 348-354. Scott, P.H., Morgan, T.J., Durrant, S. and Boots, R.J. (2002) Survival following mechanical ventilation of recipients of bone marrow transplants and peripheral blood stem cell transplants. Anaesthesia And Intensive Care, 30 3: 289-294. Scott, Andrew, Brown, I., Boots, R., Bowman, R., McEvoy, D. and Morrison, S. (2001) Haemoptysis in the adult under 40 - a clinico-pathological review. Respirology, 6 SUPPL. 1: . Engrand, N., Benhamou, D., Boots, R. and Lipman, J. (2001) About intrathecal baclofen in tetanus (multiple letters) . Anaesthesia and Intensive Care, 29 3: 306-307. Boots, R and Lipman, J (2001) About intrathecal baclofen in tetanus - Reply. Anaesthesia and Intensive Care, 29 3: 307-307. Bellomo, R, Chapman, M, Finfer, S, Hickling, K, Myburgh, J, Belessis, A, Bell, A, Bellomo, R, Bersten, A, Boots, R, Bristow, P, Chapman, M, Myburgh, J, Clayton, D, Cook, D, Dobb, G, Finfer, S, Hart, G, Hickling, K, Jenkins, , Langton, D, McArthur, C, Parkin, R, Richards, B, Skowronski, G, Smith, A, Ulyatt, D and Williams, D (2000) Low-dose dopamine in patients with early renal dysfunction: a placebo-controlled randomised trial. Lancet, 356 9248: 2139-2143. Boots, RJ, Lipman, J, O'Callaghan, J, Scott, P and Fraser, J (2000) The treatment of tetanus with intrathecal baclofen. Anaesthesia and Intensive Care, 28 4: 438-442. Grant, RK, Boots, RJ and McEvoy, JDS (1999) Bilevel non-invasive ventilation in malignant large airways obstruction during chemotherapy and radiotherapy. Anaesthesia and Intensive Care, 27 3: 295-297. Chilvers, M., Jones, D., Rushmer, J., Bignell, S., Boots, R. and Prankerd, R. (1999) Propofol-thiopentone admixture: recovery characteristics. Anaesthesia & Intensive Care, 27 6: 601-609. Boots, R., Paterson, D., Allworth, A. M. and Faoagali, J. L. (1999) Successful treatment of post-influenza pseudomembranous necrotising bronchial aspergillosis with liposomal amphotericin, inhaled amphotericin B, gamma interferon and GM-CSF. Thorax, 54 11: 1047-1049. Crerar-Gilbert, A., Boots, R., Fraenkel, D. and Macdonald, G.A. (1999) Survival following fulminant hepatic failure from fluconazole induced hepatitis. Anaesthesia and Intensive Care, 27 6: 650-652. Crerae-Gilbert, A. and Boots, R. (1999) Use of inhaled nitric oxide in pulmonary empolism. Anaesthesia and Intensive Care, 27 4: 412-414. Bellomo, R, Bersten, AD, Boots, RJ, Bristow, PJ, Dobb, GJ, Finfer, , McArthur, CJ, Richard, B and Skowronski, GA (1998) The use of antimicrobials in ten Australian and New Zealand intensive care units. Anaesthesia and Intensive Care, 26 6: 648-653. Boots, R. J. (1998) "Near drowning" due to hydatid disease. Anaesthesia And Intensive Care, 26 6: 680-681. Bellomo, R., Bersten, A. D., Boots, R. J., Bristow, P.J., Dobb, G. J., FInfer, S., McArther, C., Richards, B. and Skowronski, G. A. (1998) The use of antimicrobials in ten Australian and New Zealand intensive care units. The Australian and New Zealand Intensive Care Multicentre Studies Group Investigators. Anaesthesia And Intensive Care, 26 6: 648-653. Zhang, Dalin, Yao, Lina, Zhang, Xiang, Wang, Sen, Chen, Weitong and Boots, Robert (2018). Cascade and parallel convolutional recurrent neural networks on EEG-based intention recognition for brain computer interface. In: 32nd AAAI Conference on Artificial Intelligence, AAAI 2018. 32nd AAAI Conference on Artificial Intelligence, AAAI 2018, New Orleans, LA, (1703-1710). February 2, 2018-February 7, 2018. Chang, A., Hodges, P. W. and Boots, R. (2003). Using a tilt table improves minute ventilation in critically ill patients. In: 14th International Conference of the World Confederation for Physical Therapy. 14th International Conference of the World Confederation for Physical Therapy, Barcelona, Spain, (). 7-12 June, 2003.